As a management consultant for Fortune 500 companies, corporations sought my counsel when thorny issues affected their bottom line. Sometimes, executives were surprised to hear their problems were interpersonal, because they had wasted money and effort on intricate reorganizations, revamped policies, and executive changes. By the time I was called in, the problems had usually gotten worse. I have impacted many groups, from youngsters to CEOs. I know that the real meaning of life is never in the lines, but between the lines—in the people who achieve the task for which a company must show profit. It is people skills that drive these profits. It is these people skills that we must nurture. My Business Book is FREE for Kindle Unlimited Subscribers. 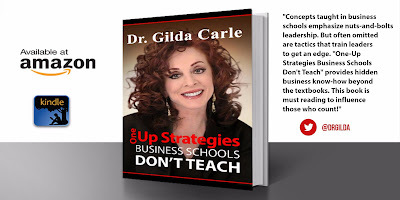 “One-Up Strategies Business Schools Don’t Teach” was derived from corporate papers I wrote and delivered, my published CEO magazine articles, and my continued consulting work in corporate America. Today, I do keynote and motivational speeches, I conduct Lunch- and-Learns across the country, and I privately consult with executives and non-executives on my Advice & Coaching platform on DrGilda.com. In all, I am grateful to grow from those who seek me out, as much as they say they grow from me. Check out all my Kindle Books on my Amazon.com author's page! 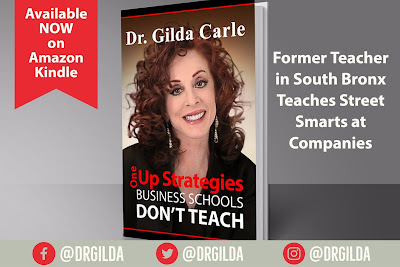 Dr. Gilda Carle (Ph.D.) is an internationally known management consultant, relationship educator, author, business school Professor Emerita, product spokesperson, and media personality. She conducts keynotes at corporations, and provides coaching throughout the world. By uniquely integrating self-worth principles with net worth strategies, she is renowned for quickly raising the bottom line. 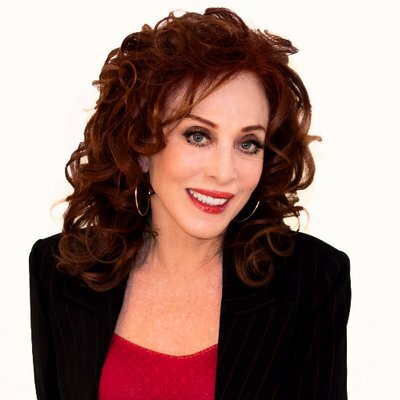 She wrote the weekly “30-Second Therapist” column for the Today Show, the “Ask Dr. Gilda” column for Match.com, she was the relationship expert on TV’s Sally Jessy Raphael show, and every other national TV talk and news show, and she has conducted Relationship Wellness training for Columbia University Medical Center.